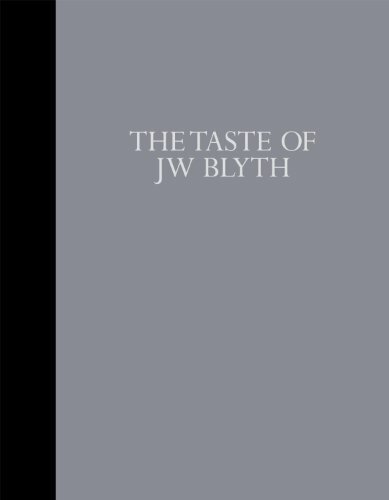 John Waldegrave Blyth (1873-1962) was a Kirkcaldy linen manufacturer with a passion for art collecting that began in his early thirties. By the time of his death he owned 237 paintings including 84 by Samuel John Peploe (1871-1935) and 45 by William McTaggart (1835-1910). There were also 24 works by Walter Richard Sickert (1860-1942), examples by Jean-Baptiste-Camille Corot (1796-1875), Eugène Boudin (1824-98) and Édouard Vuillard (1868-1940), an L.S. Lowry (1887-1976), a Matthew Smith (1879- 1959) and many more. The first paintings were bought in 1909 and he was still buying six years before his death. A large part of the collection is now in the Kirkcaldy Art Gallery, but a very significant portion was retained, and the exhibition which accompanies this publication represents the last works held by the family. It is more than fitting that this exhibition takes place at The Scottish Gallery from where so much of the collection was bought and with whom Blyth enjoyed such a long and fruitful relationship. His faith in The Scottish Gallery over fifty years and four generations of senior partners and staff and the access the gallery provided to great works of art speak of an unusually strong and fruitful relationship between a gallery and a collector. The story of his collection and his developing passion for art spans two world wars, the Depression and the struggle in Scotland to identify a national school and establish institutions to best represent Scottish art.